A stocking full of gifts is one of the simple pleasures of Christmas morning. We’ve picked some of our favourite stocking fillers from this year’s JamPot selection, so you can give them a gift that makes them smile all day and beyond. After all, it’s the little things that count! Here at JamPot, we love great design, as well as, fun, functional home ware and Oil & Co is just that. 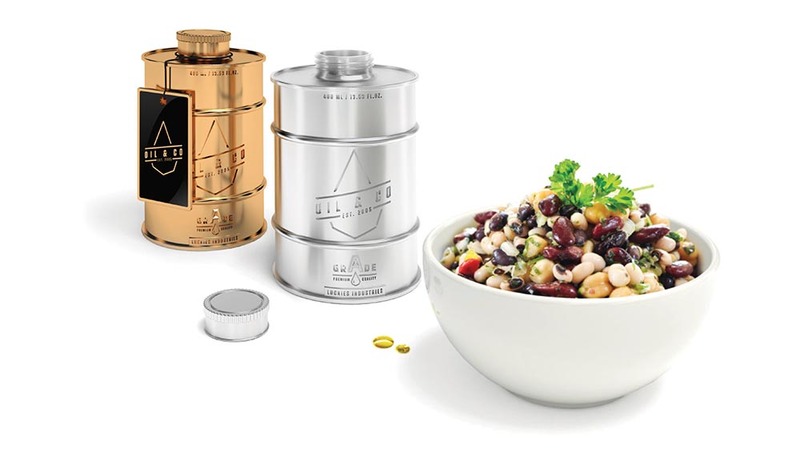 It’s a really cool looking, mini oil canister to store your oil, whether it’s Extra Virgin for Salads, Sunflower for cooking or Sesame Oil for stir fries this canister will add some edge to your kitchen. It’s such a great way to serve up your salads and looks great in any kitchen and on any table. High quality, industrial insired Oil & Co Pourers make any kitchen, picnic or Al Fresco dining occassion look cool.. Oil & Co Pourer is not suitable for hot oil, if you wish to reuse cooking oil allow to cool completely before pouring back into the container. It’s time to plan that holiday! It’s never to early to start planning for next year’s Festivals!